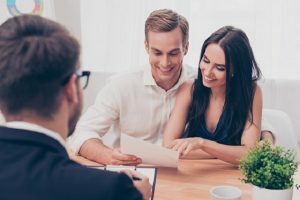 Buying a home at auction can be “daunting and emotional,” says HSBC Australia in its website, but if handled correctly, it can be a rewarding undertaking. According to HSBC, “auction is an ever-popular method of selling property, particularly when the market is strong” because sellers often get a good price for their homes. But first things first, before going to auction, make sure you have the authority to bid, as regulations differ from state to state. Check laws, or consult your real estate agent, or the Real Estate Institute for specific rules. Now that you got the authorization, keep these tips in mind for an enjoyable and fulfilling bidding experience. If you are lucky, and the property you were bidding for is “knocked down” to you, be prepared to sign a contract and make a deposit, which is usually 10% of the purchase price. Then, take out insurance to protect your interest in the property. For more information on the auction process, you may get in touch with your state Department of Fair Trading.